An excellent choice for mirror installations with a proven track record. Available by the case containing (24) 10.1 ounce tubes (cream in color). Please remember that mechanical fasteners are still recommended along with mirror mastic for successful installations. Gunter ultra/bond is blended to achieve maximum adhesion providing a permanent bond between the mirror and a variety of substrates. Four hundred pounds per square inch, tested strength, totaly cured after twenty-eight days. In most cases Gunther ultra/bond is much stronger than the surfaces to which it is applied. Many years of extensive laboratory testing and field use has given Gunther ultra/bond a record of quality mirror installations. At operating temperatures that range from 10 degree Fahrenheit to 125 degrees Fahrenheit, Gunther ultra/bond remains easy to apply. For best adhesion, the two surfaces must be dry, clean and above 60 degrees. Gunther ultra/bond can compress to 1/32 of an inch, making it ideal for mirror installations requiring close tolerances such as mirrored furniture. For those uneven surfaces, Gunther ultra/bond will build up to 3/4 of an inch. Within 24 hours Gunther ultra/bond cures to 30% of maximum strength. Gunther ultra/bond cures to 100% strength in twenty-eight days at normal room temperatures. The surface must be clean, dry and free from dust, dirt, grease, and loose powdery paint or primers. When applying mirror to vertical unpainted plasterboard, concrete or plaster, the surface to be covered must be sealed. 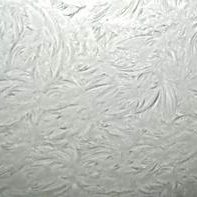 Do not apply on wallpaper, painted surfaces, vinyl safety backing, acrylic mirror, or treated woods. Not for external applications. Wall and mirror surfaces must be above 60 degrees Fahrenheit. 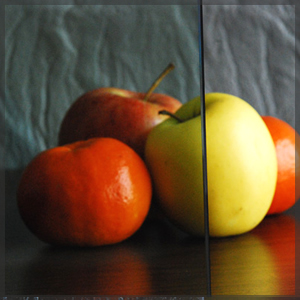 Ultra/bond should be applied in vertical beads the full length of the mirror, 5-6″ apart. Allow 3″ from the mirror edge to begin or end a bead. Install the mirror within 10 minutes after Gunther ultra/bond has been applied. 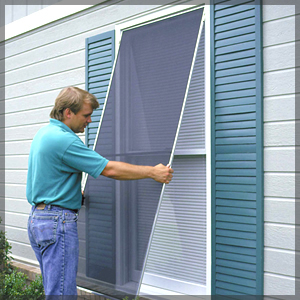 Use a mechanical support system to support mirror during and after installation. Gunther ultra/bond will create a skin in twenty seconds after application that will feel dry to the touch. This will prevent dust or dirt from adhering to the Gunther ultra/bond surface. When the mirror is set in place on the wall, the surface skin will dissolve for maximum contact with both the mirror backing and the wall. Once the mirror has been placed on the wall do not remove for the purpose of “air tacking”. 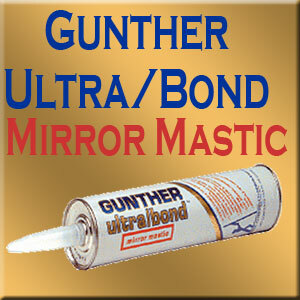 Maximum strength is obtained by letting Gunther ultra/bond cure to both surfaces without breaking the bond. Actual curing time for Gunther ultra/bond may vary depending upon conditions. See Specification Data Sheet (Please note, all references to products other than Gunter Ultra/Bond have been removed from this document) for additional information. For easy clean-up use mineral spirits. Test the material to be cleaned to make sure mineral spirits will not cause any damage. Shelf life is 1 year in unopened containers.